When you have a job to do, there’s one tool that you need to have in your arsenal: a truck. The right kind of truck can make all the difference in the world. That’s why we’re proud to offer our wide selection of used trucks here at Automaxx of the Carolinas. With models from Chevrolet, Dodge, Ford, Ram and more, we’re sure to have just the truck for you. 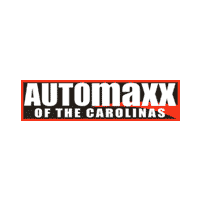 If you’re looking for a rugged, reliable used truck near Charleston, we have just the thing for you here at Automaxx of the Carolinas. Our team of auto experts will work with you to help you find just the right model for your needs. We’ll help you weigh the pros and cons of various models, and make sure that you drive home with the right tool for the job. Give us a call today at (888) 687-4419 to get in touch, or come pay us a visit in person here in Summerville, SC. We can’t wait to help you out. The post Used Trucks Near Charleston appeared first on Automaxx of the Carolinas.